Small problems with your sewing machine can be very irritating and time-consuming. It can happen to even the most experienced sewer. Well, there is nothing worse than working with an uncooperative sewing machine. However, it important that you know some of the common problems and their solutions. You would be surprised that they can be solved with so much ease. 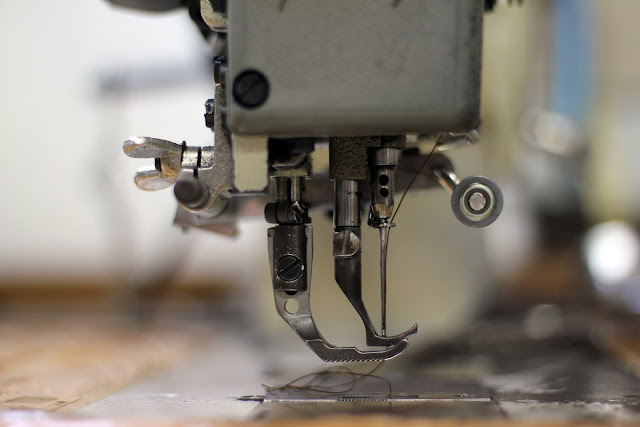 Most of the issues with sewing machines have to do with stitching quality and needle issues. We have assembled a list of some common sewing machine problems and their solutions so that when you face a challenge, you can do it yourself. It is an issue which can be dangerous as well as frustrating. Every time you start a new project start with a new needle. It will prevent hooking up of the needle, that can damage your fabric. Also, make sure you use the right type of need for the right project. For example, while stitching denim, you would need sharp and sturdy needles. In case your needles break or bend replace them immediately so that your stitching is not compromised. Always check the type of threads that you are using. The delicate threads which are designed for hand sewing are not suitable for use in a sewing machine. Take care of the top and bottom threads, they should be of the same weight. Lowering the tension of your top thread will solve your problem. If you are working on an industrial sewing machine, then the problem could be that the bobbin thread is too tight or obstructions in the bobbin tension guide. It is not advisable to repair an industrial sewing machine as it requires a degree of skill and expertise. There could be a whole lot of reasons for your machine to skip stitches. Check if your needles are installed correctly and whether you are using the right type of needles. Rethread your machine including your Bobbin threads. If your machine is still skipping stitches, then there is an issue with the timing, which will require expert repairs. This could particularly be annoying. As getting the thread through the eye of the needle could take a lot of time. This one’s got an easy fix. Before you begin threading your machine make sure it's at the highest point. And by simply be done by winding the hand wheel towards yourself, while you keep an eye on the needle. If your thread looks like it’s been through a mill, then it’s probably an issue with your needle. Make sure you use compatible needle sizes that are large enough for the thread. If you experience any strange noises coming out of your machine, then you should take your foot off the pedal. It’s likely that your machine needs a good cleaning. Check your manual for the recommended maintenance procedure. Oil it up and give it a try on test fabric. If you still experience noises then take it to the repair shop. If you are working on a canvas sewing machine, then you should check the screws which are attached to the canvas. Tighten them up in case they are loose and you are good to go. While you can still manage with little unevenness, but experiencing distorted seams may be a problem with your machine. Check the weight of the thread you are using. A thick thread for lighter fabrics will throw off your tension settings. Check your foot pressure and see if your feed dogs are working correctly. Working on a problematic sewing machine could be a frustrating experience. However, a bit of regular maintenance can help prevent the worse issues.